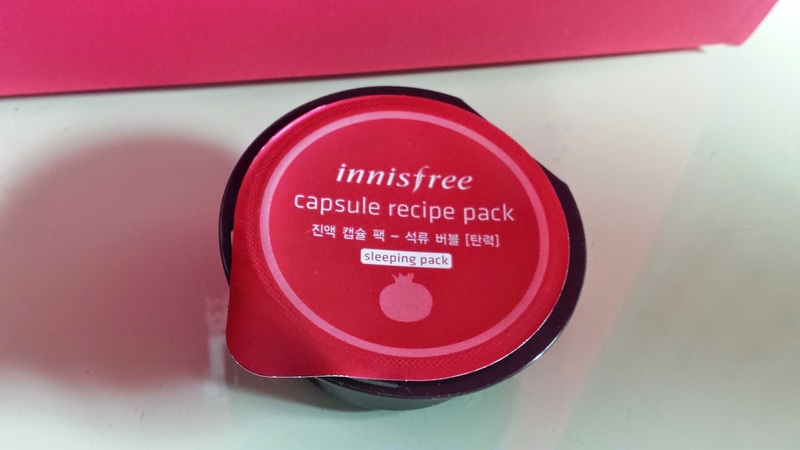 Innisfree pomegranate sleeping pack! Easy instructions, all you do is place it on your face before bed and who-lah! Wake up beautiful and refreshed! This costs US $2. This jar of cream is super cute and smells great. 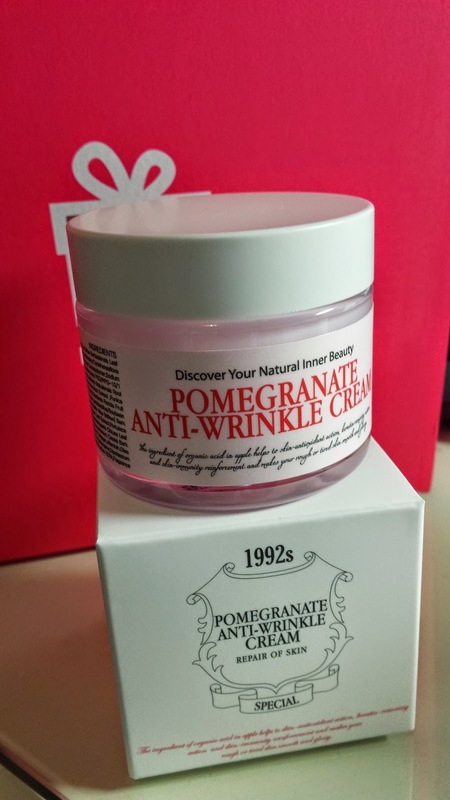 Really nice texture which focuses on anti-wrinkles and soothing irrating skin. This full size product sells for US $30. 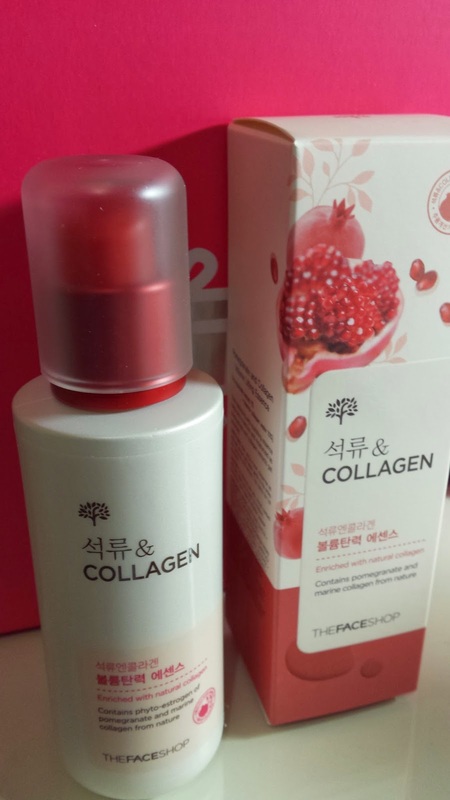 Pomegranate and Collagen essence from the face shop! My favourite product from this box! The bottle is very heavy too~ This fast absorbing and nutritious essence costs US $24. This is in the 01 Pomegranate flavour! 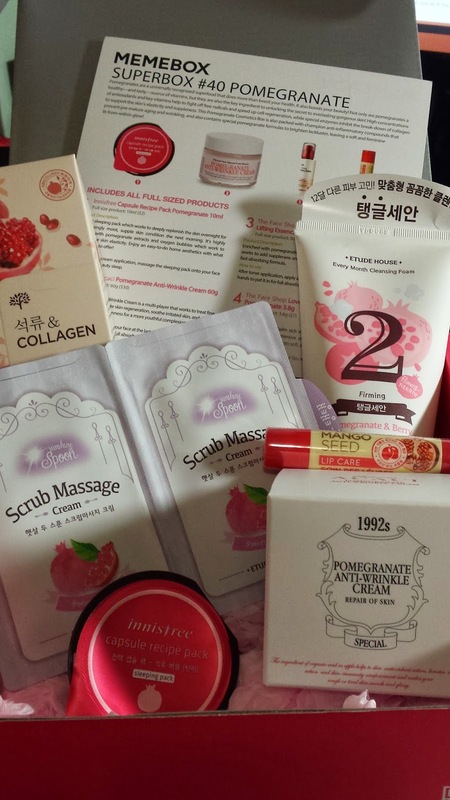 Yay another The Face Shop product :) love it! 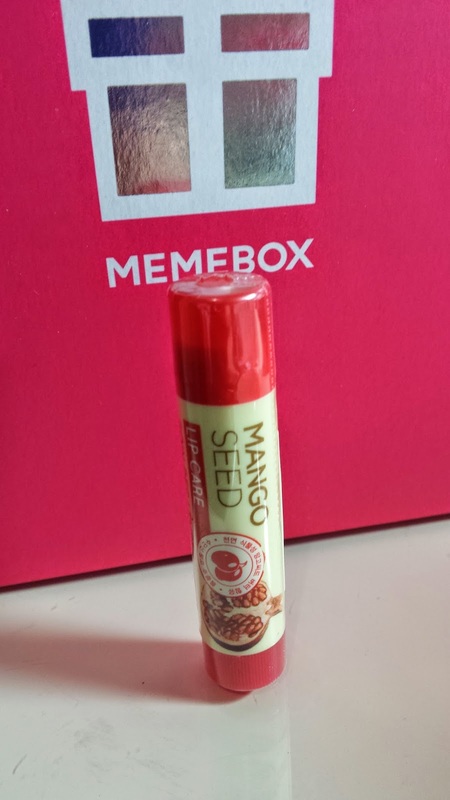 Cute mango seed lip balm which costs US $7. OMG! Etude House! This box just got better! 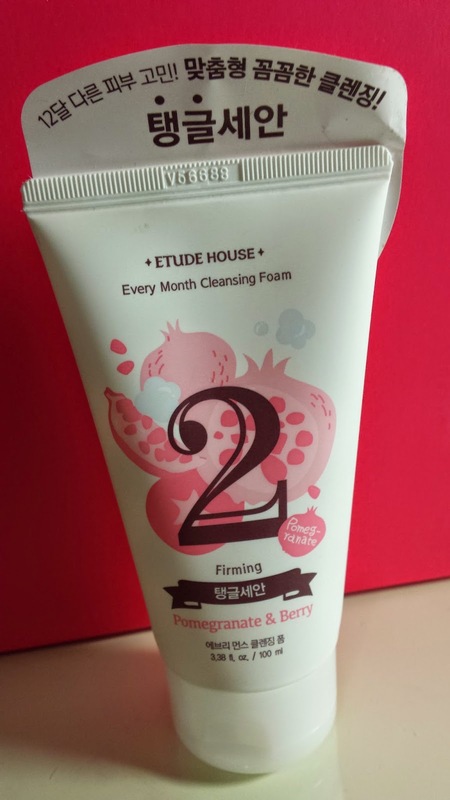 Cleansing foam in pomegranate & berry flavour! This smells so good ^.^ This sells for US $4. 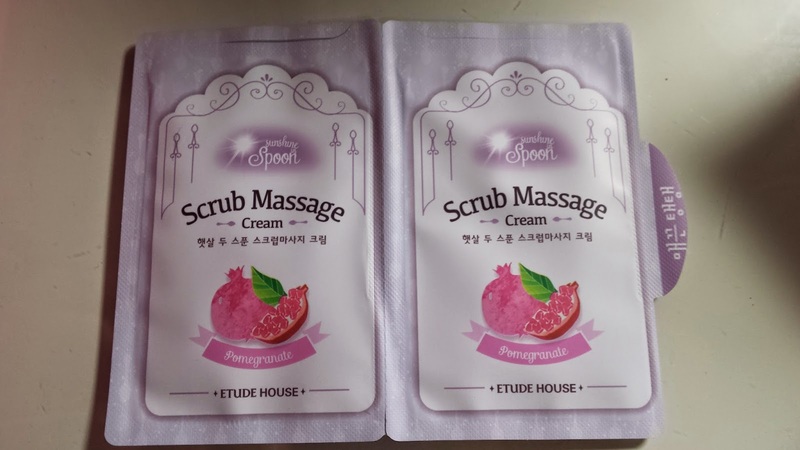 Have never heard of a scrub massage cream before! I'm guessing this is cream you can use to scrub all over your face and then rinse off after a massage! Will try this out, this costs US $1.